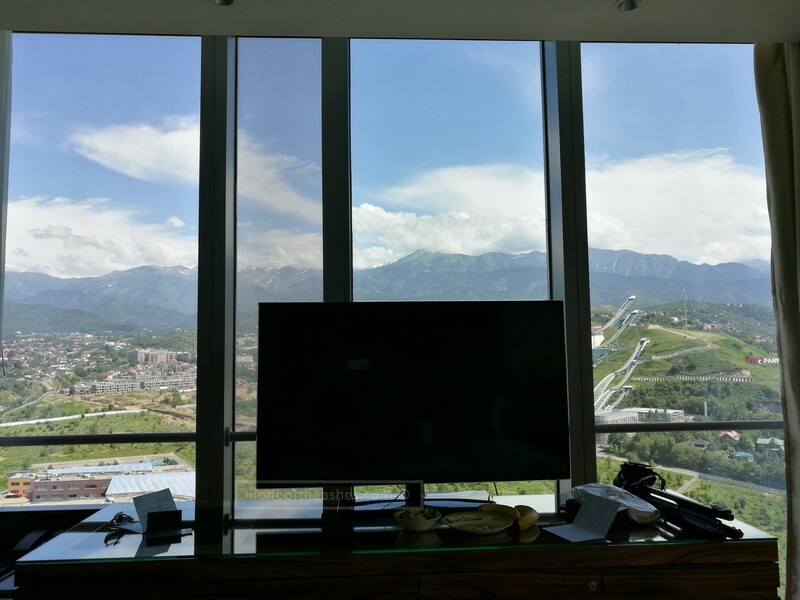 With views of the Alatau mountains, and the city, it’s quite a sight from the Ritz Carlton. We had a Deluxe Room at the corner which gave us views of it all – and I don’t think even turned on the TV whilst we were in the room. It’s was beautiful just to look out. 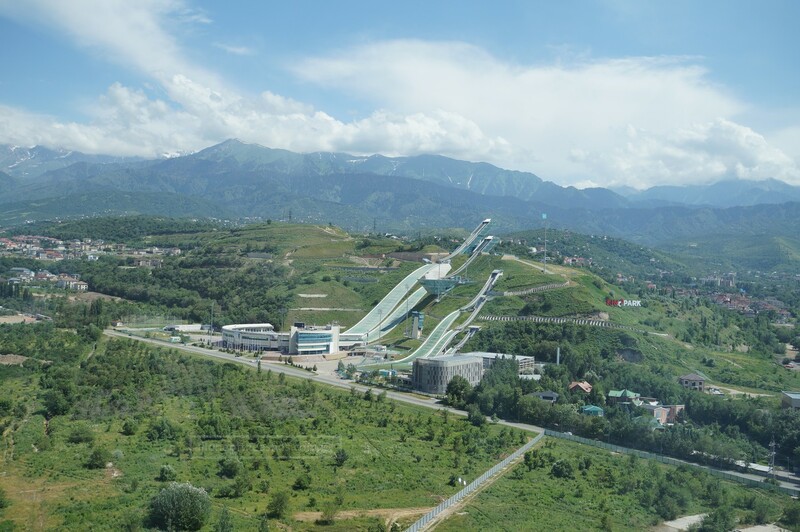 And that, is apparently a slope for skiiers! Heated marble floors in the bathroom. That, I remember. You don’t get that in Dubai. You’ll probably get in trouble for having heated marble floors here 🙂 I can imagine how cold it would get in winter (-40 degree celcius apparently?) and how nice it would be to step into heated marble flooring when you wake up in the middle of the night to use the bathroom. Asprey toiletries, tick. 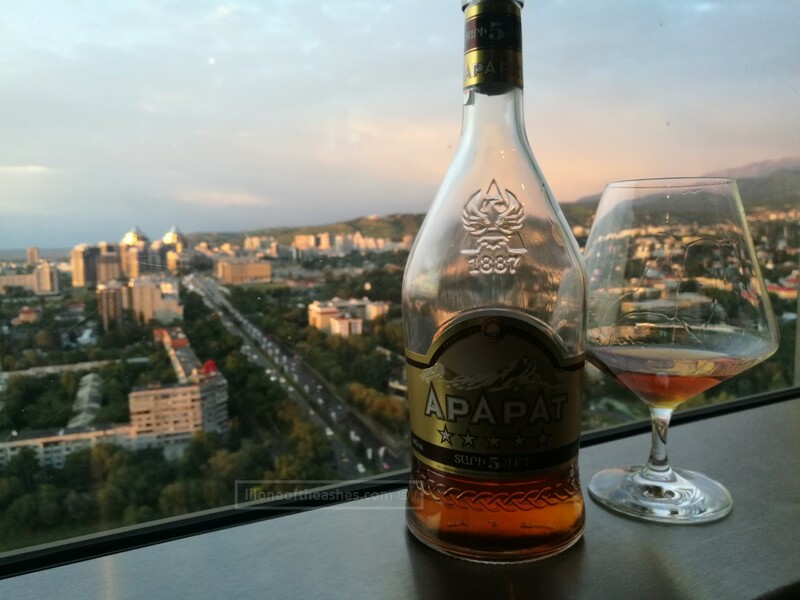 And for the first time ever – I would like to comment on the toilet paper they offer in the Ritz Carlton Almaty (Note : It was so good, we took one home, ha ha ha ha). How many plys can a toilet paper have? I don’t know – but if other hotels in Dubai want to step up on luxury, please get in touch with Ritz Carlton and ask them where they get their toilet paper. And on the general sense – absolutely no complaints with the overall room layout, the bed, the pillows, the quietness of the room. 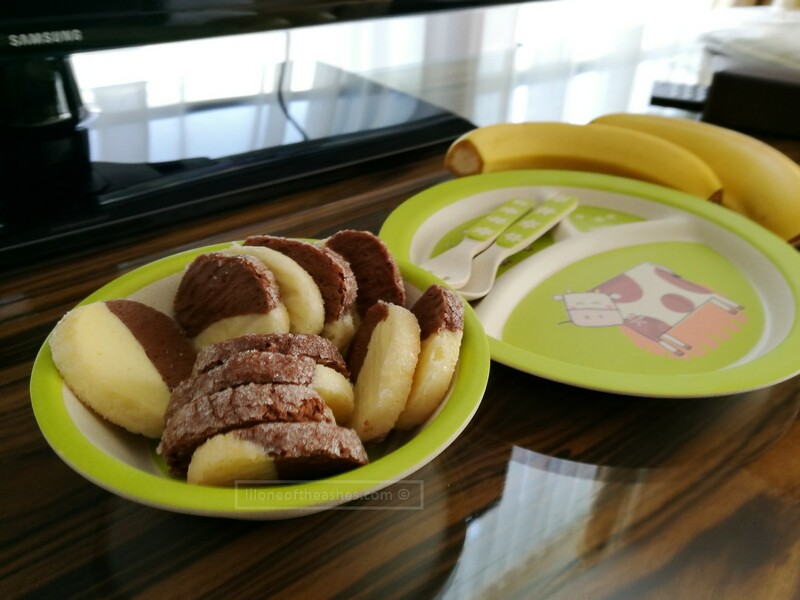 For toddlers (above 3, I think – do double check) – they have a Kids Club with activities to keep them busy like cooking classes. I’ll have to wait a bit longer before we can send our girl to those! 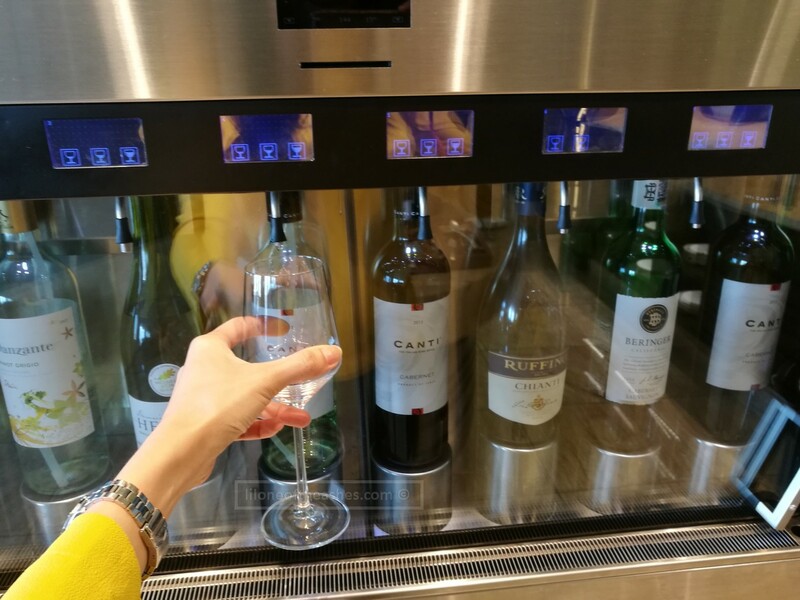 Here was my first introduction to a wine dispenser 🙂 Note : Address Boulevard in Downtown Dubai has one as well 😉 We asked if we could try local wine and they were very nice to bring out some Kazakhstan Riesling, with cheese and crackers whilst we watched the double rainbow amidst the blue skies. Perfect 😉 They do serve a lot of hot food as well in the evening, and we had more than enough for ourselves. 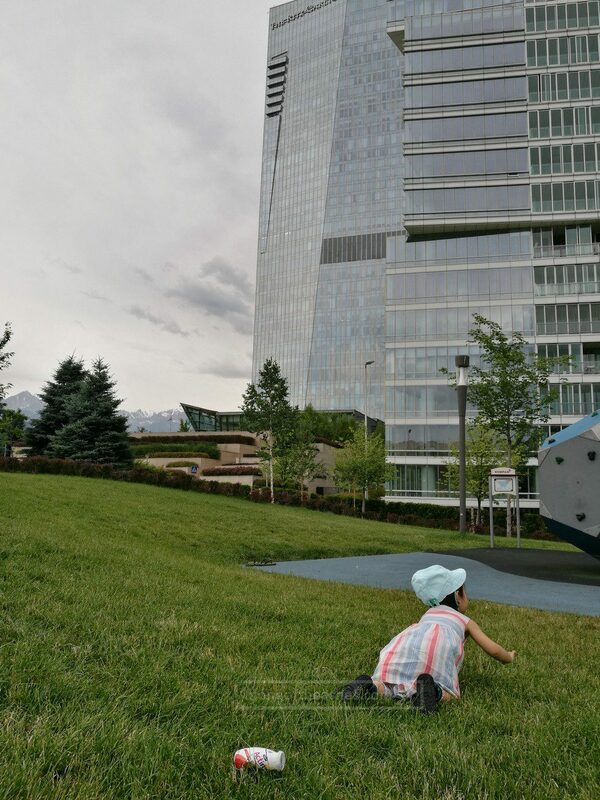 There is a park in front of the Ritz Carlton which is open to the public. 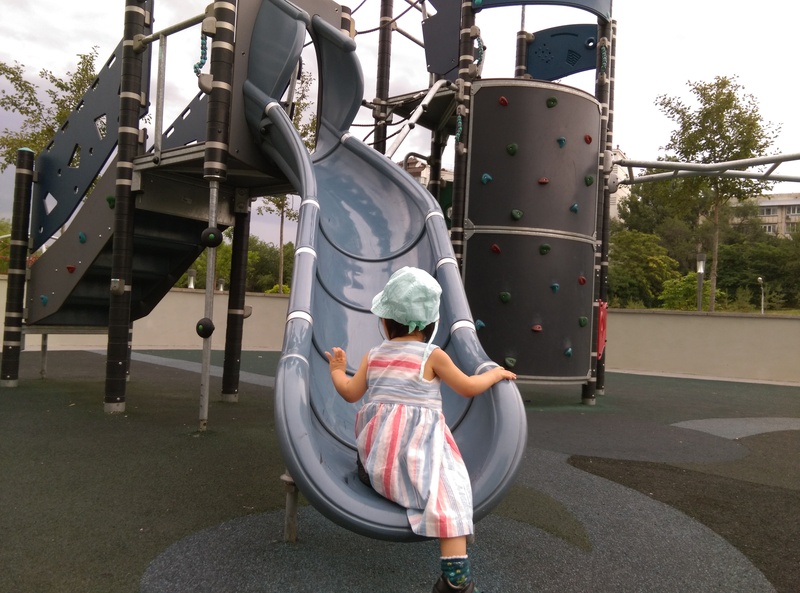 Large playground with slides, rock-climbling and swings. There were a lot of kids and parents when we were there (photo below taken when everyone else had left so I don’t get in trouble for taking photos of other kids!) – it was really nice just to chill and play. Indoor, which made sense considering how cold it’ll get in Winter. Completely empty when we went there in the morning for a dip which was nice. G used the gym. Nothing spectacular to add to both. 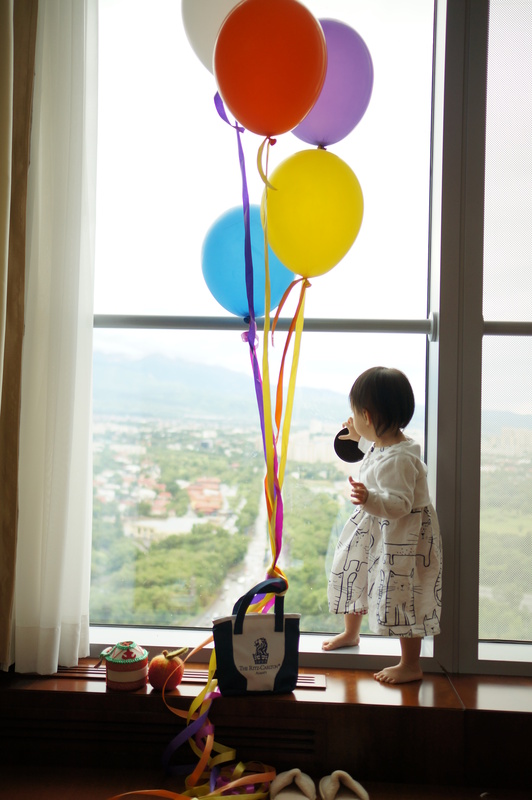 We booked through the Ritz for our day trip to the Big Almaty Lake. Whilst they were very helpful to find a tour operator (thanks) – I did realise after we came back and spent more time doing research that the pricing was on the high side. To be honest – not surprising. 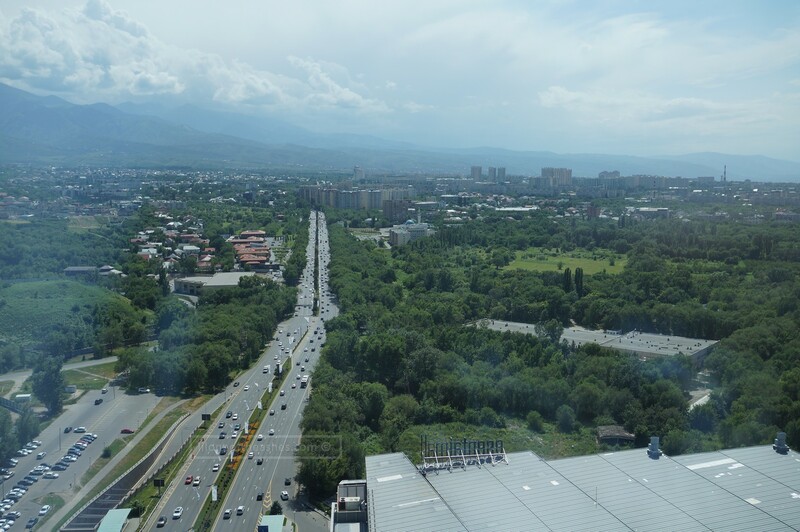 I would strongly suggest that you spend more time and do more research before you go to Almaty and book all your tours. We found it so difficult to find anything, even when we were there – so we had no choice as we ran out of time but to book through the hotels. Click here for my lil blurp on this excursion and others. 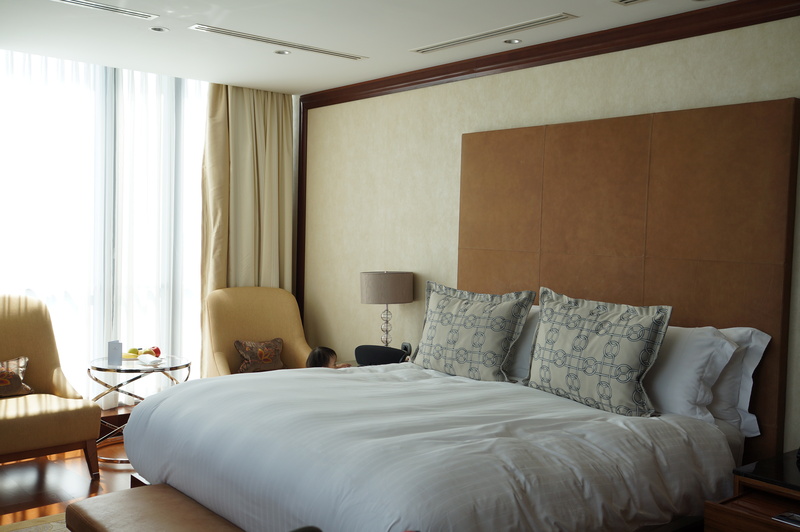 Picking a Friday in August, a Deluxe room with Mountain and city view would be around 1300 AED including breakfast. 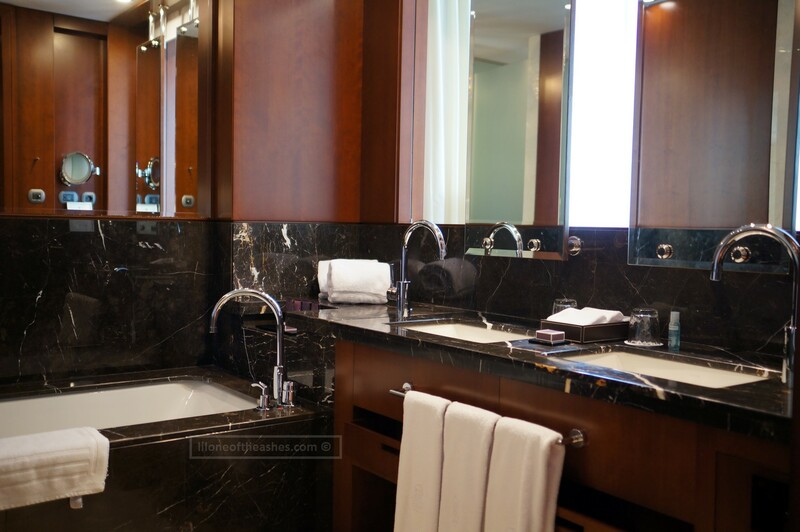 To compare to a hotel in the city in Dubai – yes, Ritz Carlton would be cheaper, but c’mon – you get different things – the view and greenery for one is something money can’t buy here in Downtown Dubai. 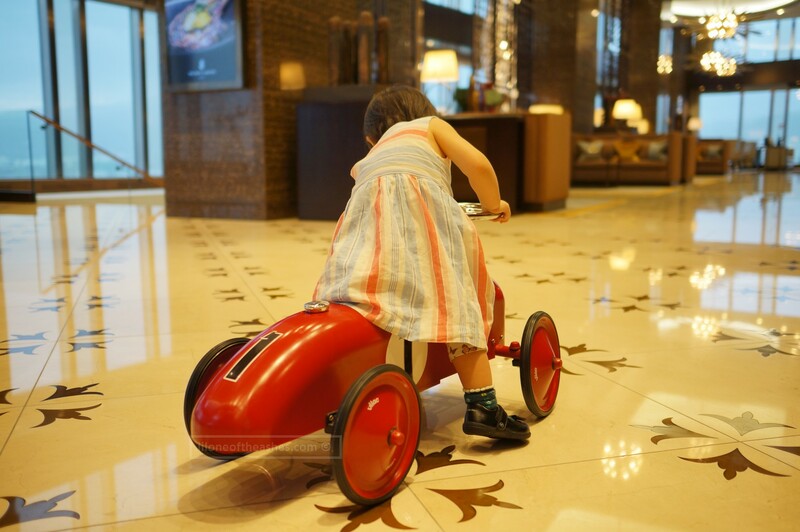 It is a lot more expensive than the Rixos Almaty – so if you dont’ want to splurge as much – choose the latter. 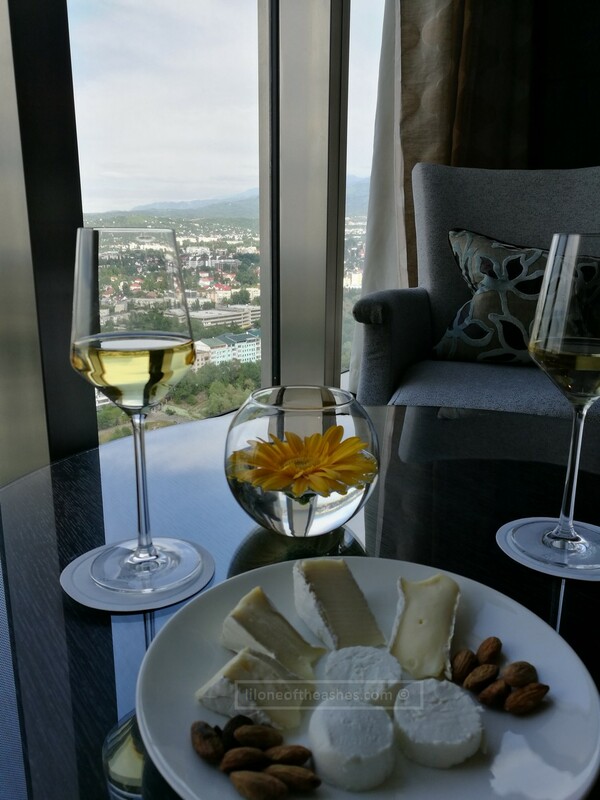 The Ritz Carlton will definitely not disappoint – if you’re used to (have been spoilt with) the hotel standards that you get here in the gulf region 😉 Do let me know what you think of the Ritz Carlton should you end up in Almaty! 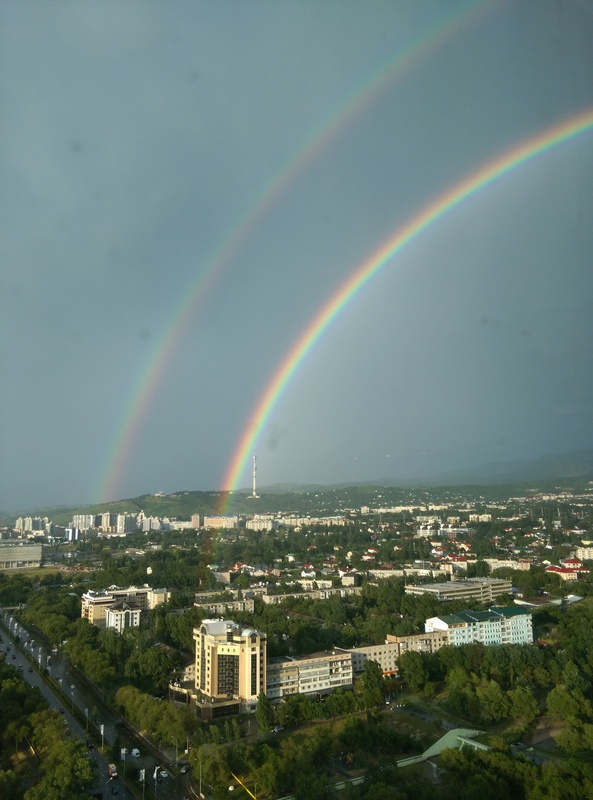 Disclaimer : Though we did pay for our stay in The Ritz Carlton Almaty, it is to be noted that we were offer a discounted rate. All thoughts are our own.